Quality Legal Services At Affordable Prices! We understand that not everyone can pay for legal services in full in many cases. 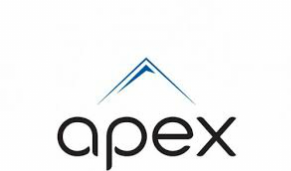 Therefore, Apex Legal Services offers a number of payment options for our clients. CONSULTATION FEES: The price of our house-call service and in-office consultation is now the same--- $320.00. All clients will receive a receipt for any payments made to Apex Legal Services. You can use a credit/debit card to pay for your legal consultation fee. Unfortunately, due to a large number of potential clients not confirming appointments, or confirming and then cancelling, not showing up for appointments, and/or making last minute cancellations, all consultation fees must be paid in advance. We offer payment plans that allow clients to make an up front payment and then agree to pay on a regularly scheduled date thereafter. The client agrees to pay attorney's fees up to a certain amount, and thereafter the lawyer works on a contingency fee basis. We do not accept any 100% contingency fee cases. We also accept Credit Cards (Visa, Master Card, American Express, Discover, and Debit Cards for legal services except Consumer Bankruptcy. You cannot use your credit card for consultations or to pay attorney's fees with a credit card for any Bankruptcy services. When pursuing legal matters, the ability to pay for legal services is very important. Lawyers typically do not work for free. When money is not readily available a person may have to become resourceful. It might include doing things like getting a second job, going to your Bank or Credit Union to get a personal loan, borrowing money from friends and family members, selling an old car, refinancing a home, etc. If all else fails, you might want to consider getting legal financing to pay for legal services through Pay Pal or some other legal financing option. See and click the blue link at the top of the page for information on Pay Pal Credit. Neither Apex Legal Services nor its Principal, Andrellos Mitchell, have any relationship with Pay Pal. You may use any legal financing option of your choice. We Would Love to SEE YOU Soon! COME INTO THE OFFICE...OR WE WILL COME TO YOU! ***Credit Cards are not accepted for Bankruptcy consultations or services.